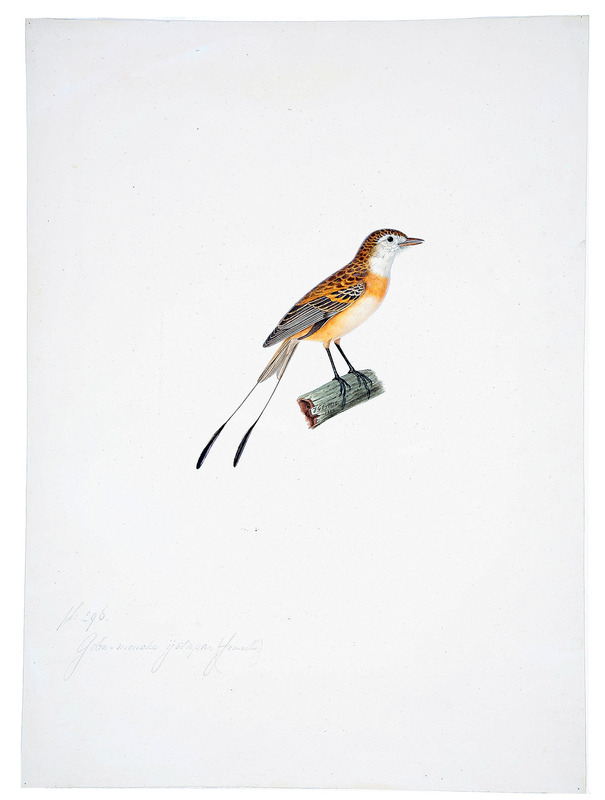 viaLibri ~ Gobe-mouche yetapa, femelle (= plate 296 from Temminck's Nouveau recueil de planches coloriées d'oiseaux .)]. [France], 1824. Watercolour of a bird on unwatermarked wove paper (ca. 48 x 34.5 cm), standing on a branch signed: "JG Prêtre/ 1824". With plate number and bird name in pencil in lower left corner.